I wanted to try and post my first piece of R code on the site. I am having a few problems with the HTML of the code so here goes a first try. I am rookie coder with R and any other language for that matter. 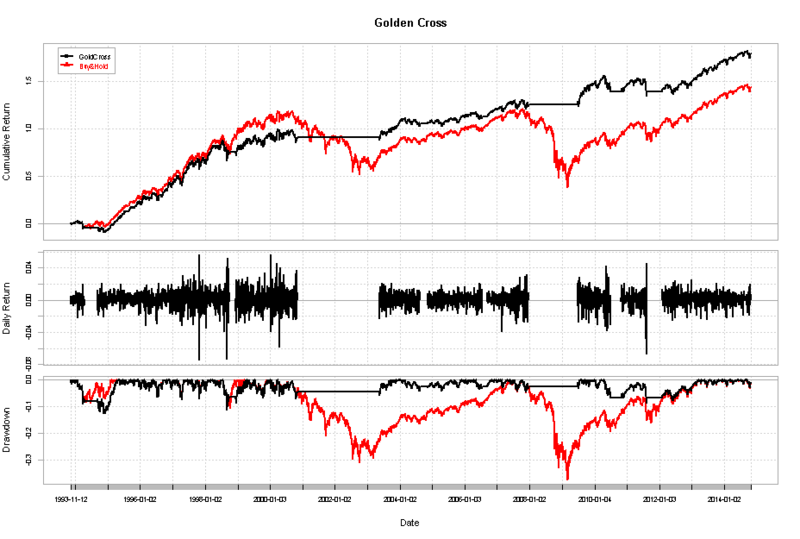 What this code does is goes and downloads more than 60 years of S&P 500 daily data, it then observes when the gold cross takes place, i.e. 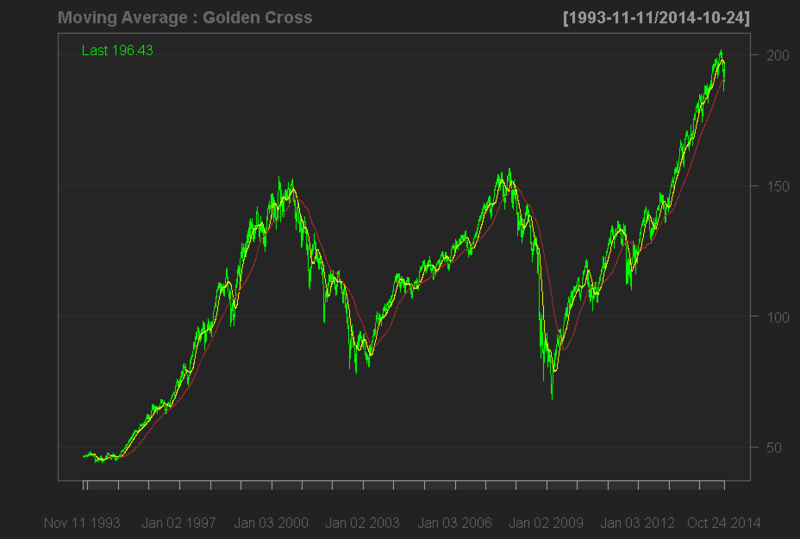 50 day moving average crosses the 200 day moving average. In this instance there is a long signal. When the 50 day cross the 200 day to the downside it is a signal to close out the long trade. The system does not enter short trades and is exceptional relative to the traditional buy and hold strategy.